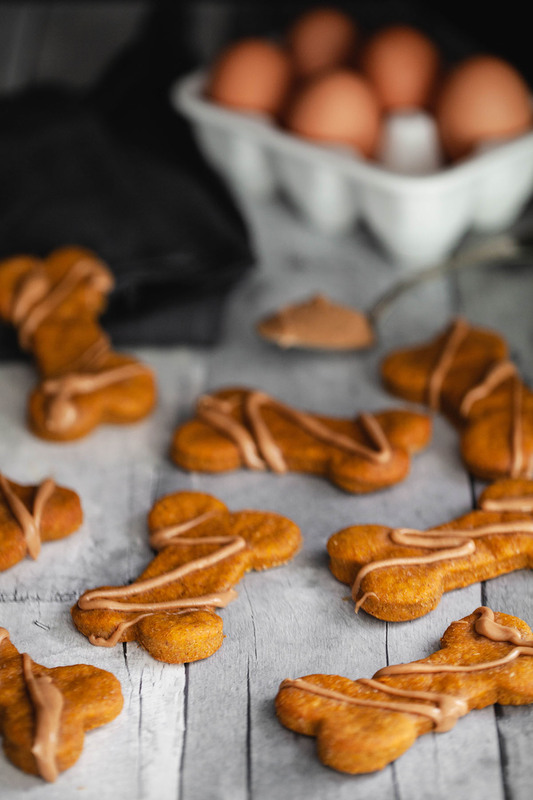 While these are safe for human consumption, these bone-shaped doggie treats are much more suited for our canine friends. Made with recognizable (and yummy!) ingredients, your dog won't be able to get enough. Combine pumpkin, peanut butter, eggs, and Colavita Olive Oil in a bowl. Add in baking soda and whole wheat flour. Stir to combine. Turn the dough out onto a floured surface and knead the dough with your hands to make sure all the flour is incorporated. Your dough should be slightly fluffy. Use a cookie cutter to cut out dog bone shapes or any other shape you would like. Whisk the bacon grease or melted butter and peanut butter together in a small bowl until very smooth. Drizzle the glaze over the cooked treats. Allow the glaze to cool and harden. For best results, place them in the refrigerator or freezer.